From 1880 until his death in 1914 Martinez was home to the world renowned naturalist and founder of the Sierra Club John Muir. John Muir’s legacy in California and contributions to our modern understandings of the natural world are both undebatable and important in our daily lives. The city of Martinez that Muir called home for the last 34 years of his life is today a historic destination and one of Contra Costa County’s must see cities. Once serving as a way station for the California Gold Rush, Martinez today is a charming town located on the south side of the Carquinez Strait directly across the water from Benicia. While housing no more than 35,000 residents Martinez is a small community with quaint and charming downtown. Restaurants, bars and shops along the main drag make Martinez a perfect day trip for those looking for something a little more quiet and relaxing than the sometimes overwhelming San Francisco and Oakland. Almost like a contemporary homage to John Muir, Martinez is home to a wide range of outdoor destinations for those looking to explore the natural beauty of Contra Costa County. 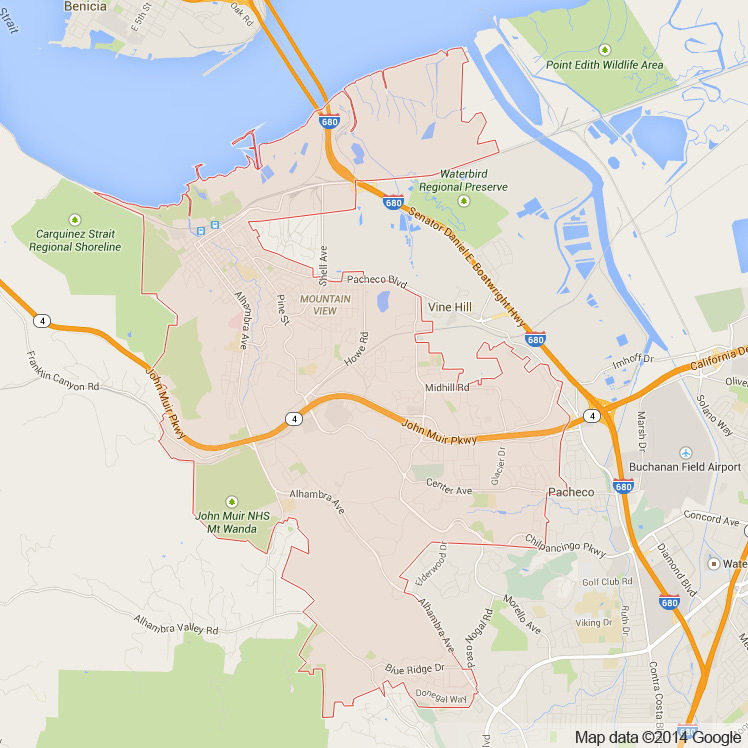 The Martinez Regional Shoreline, the Carquinez Strait Regional Shoreline, Briones Regional Park and Waterbird Regional Preserve are just a few of the many areas in Martinez that are worth exploring. Martinez’s unique location in the Bay Area make it perfect for viewing Mt Diablo, Mt St Helena and Mt Tamalpais from one of the many surrounding ridge tops. 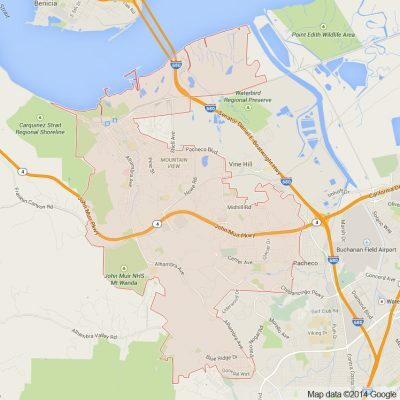 Martinez is also the Bay Area location where the Bay Ridge Trail and the San Francisco Bay Trail converge. This makes Martinez an essential place to see for anyone who is interested in exploring all that the Bay Area has to offer. We are proud here at Apex Limousine Transportation to offer residents and visitors alike a wide range of luxury limo transportation services for any occasion. We specialize in Napa Valley Winery Tours, comprehensive wedding day transportation services, junior prom/senior ball and Bay Area airport transfers (including SFO, OAK and SJC). We have a large fleet of sedans, SUVs and limousines that are perfect for parties of nearly any size. Our professional drivers are well attuned to Martinez and surrounding areas and always provide timely, reliable and professional limo services. Apex is Martinez’s go to service for luxury sedan, SUV, and limousine transportation no matter what the occasion. So instead of making your next exploration in Martinez or your child’s senior ball something sub par give us a call and we will work with you to customize a luxury limo transportation package to make any occasion a special occasion. We promise when riding with Apex you will be riding in luxury at its finest. Give us a call and together we can make your dreams come true one ride at a time. Please call us for car service all inclusive total for Martinez to/from Napa Valley transfer.